Interframe lockback of ATS-34 with 416 stainless frames and white mother-of-pearl. Engraving by Jim Wallace. 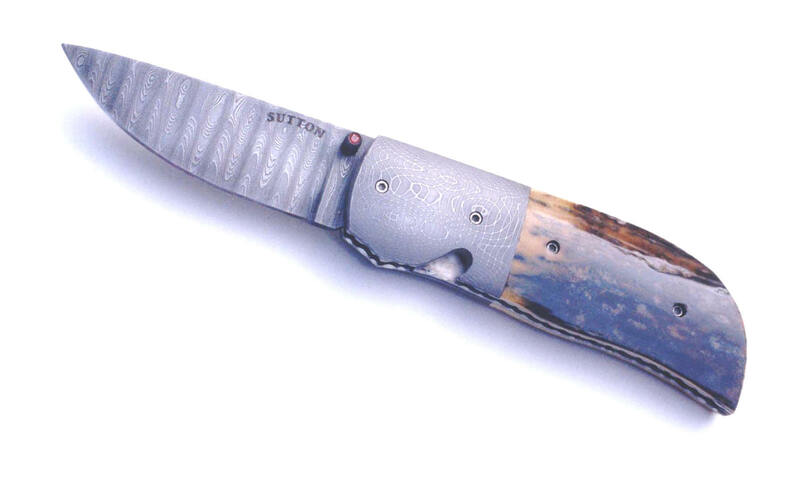 Locking Liner of ladder pattern stainless Damascus with mosaic bolsters and blue mammoth ivory. 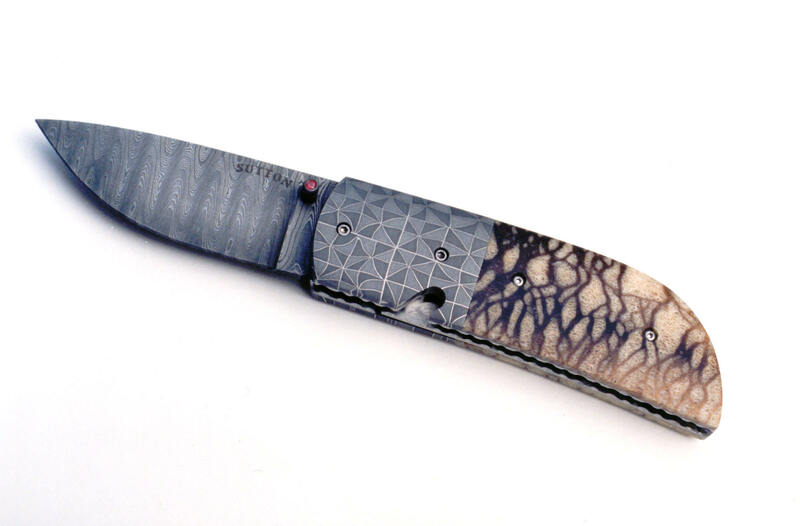 Locking liner of ladder pattern stainless Damascus with mosaic bolsters and tiger coral scales. 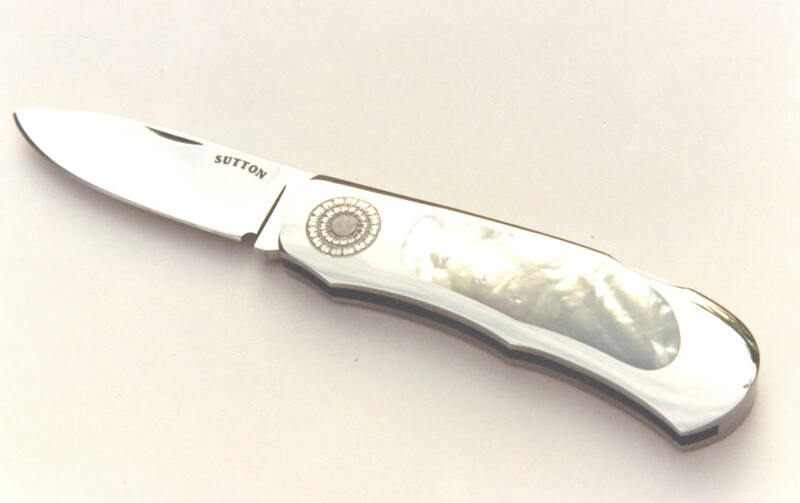 Locking liner of ladder pattern stainless Damascus, mosaic bolsters, and mammoth ivory.